Redundancy is at the forefront of many people’s minds. Despite the fact that the UK is now out of recession, many employees remain concerned about the prospect of losing their job at some point in the future. If you are made redundant, you will undoubtedly have a number of immediate concerns. You should try to act as quickly as possible to minimise the impact on your finances, and help find yourself a new job fast. Perhaps your most important priority immediately after being laid off will be to determine what sort of settlement you will get. If you have worked continuously for the same firm for two years or more, you will be entitled to statutory redundancy pay. The amount you receive will depend on a number of factors. Broadly speaking, you will receive 0.5 week’s pay for each full year you were working for that employer if you are currently under 22. You will receive one week’s pay for each year if you are between 22 and 41. You will receive 1.5 week’s pay for each year if you are over 41. Bear in mind that the maximum weekly pay for these purposes is £380. It is also worth remembering that you may be contractually entitled to a redundancy settlement significantly higher than this. You should check your employment contract if you are unsure. You do not need to apply for statutory redundancy payments; they should be made automatically by your employer. Unless you wish to take this opportunity to take some time out from working life, you should try to get back on the job hunt as quickly as possible. The longer you remain out of work, the harder it will be to find a position. Just as importantly, many people find that unemployment saps their energy pretty quickly. Generally, the quicker you get out of the situation the better. 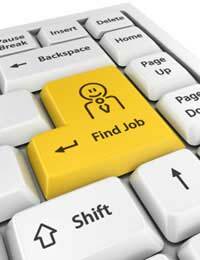 Sign up with some employment agencies, and start checking the online job sites that are relevant for your industry. You should also consider heading to your local Jobcentre Plus, where they may be able to offer you advice on potential new positions. They will also be able to help you claim Jobseeker’s Allowance, which can help to tide you over until you find work. It is common for those over the age of about 35 to feel as if all the job vacancies are being filled by younger candidates. While it may well be easier for younger individuals to secure positions in certain circumstances, this is not always the case. If you are worried about falling prey to age discrimination, you may want to leave your date of birth off your CV. You should also make sure that you underline your experience and expertise. These will be particularly attractive to employers, and will be much more highly valued than youth in many industries. Redundancy can be a painful experience. But as long as you keep your chin up and get hunting for new positions as soon as possible, you need not wait too long between jobs.